Saying I had an interesting summer is an understatement. 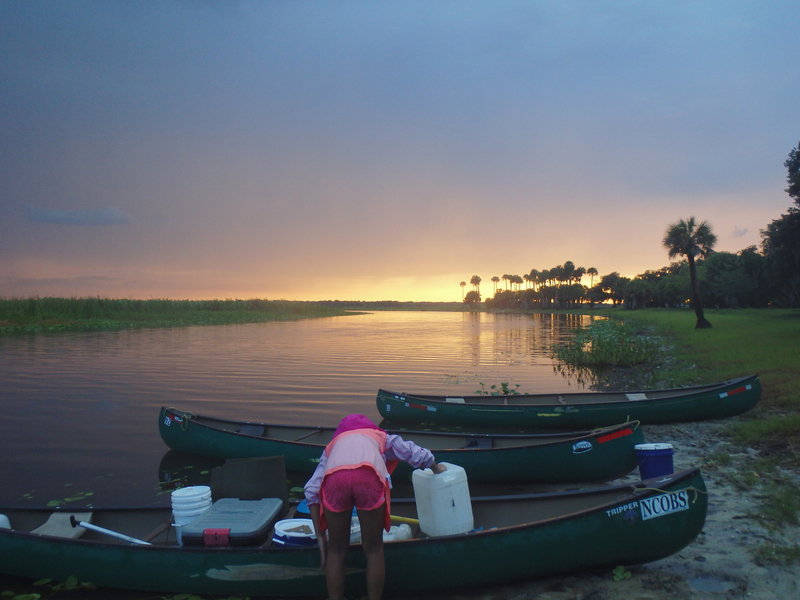 While most 16-year-olds take the summer as a time to relax, spend time with friends, and indulge in technology, I (and seven other at-risk teens) had quite a different experience: Outward Bound’s Intercept Program, a 28-day wilderness expedition on the Suwannee and St. Johns rivers in Florida. Throughout the course, our objective seemed quite simple: Paddle by canoe in the blazing hot sun (down an equally hot river), scout your campsite, set up your tents and prepare your “meal.” Then, ready our exhausted selves for sleep. Sounds easy, right? The storms, a month without a shower, paddling until four o’clock in the morning, body rashes, moldy food, and defecating in a bucket added some difficulty, to say the least. What was even more difficult was the emotional reflection the seven strangers and I were encouraged to share with each other throughout the course. See, everyone attending my course had a personal struggle of some sort. Mine was issues at school and behavior at home. It was up to our four instructors to guide us out of the negative pathway our lives were headed in through a combination of conversation and physical challenges that come hand-in-hand with the course. While doing that, they taught us life skills I’ll always hold on to. For example, time management. Every task had a “time goal.” We had two minutes to get our nighttime attire on, 45 minutes to set up our campsite. This made even the simplest of tasks seem urgent. I apply this to my life now, and I cannot remember the last time it took me more than 15 minutes to get ready for school in the morning. I also benefited from our instructors constantly pushing assertive communication into our everyday interaction. I was permitted to make requests as long as I was concise, did not become emotionally escalated and remained patient with the others involved. These proper, non-aggressive communication skills have already helped me in all aspects of my life. Not all of the experiences were schooling, however. Some of my favorite moments were swimming, playing quick games and solving riddles. I found the most enjoyment in talking with my peers, sharing thoughts I would not normally share even with the people I love most. It’s not easy sharing your life with anyone, let alone a group of people you just met. We all grew together, and those strangers at the start of the course became my family near the end. As you can imagine, this course was also physically challenging. When we completed it, we had paddled a whopping 144 miles, in the hot sun and through summer thunderstorms. Sharing your inner self is intimidating, yet rewarding—a word that I think best summarizes my Outward Bound experience. In the end I was emotionally drained, beaten down and exhausted, but beyond proud of what I’d accomplished. I recommend Outward Bound to anyone, and if the opportunity ever comes your way to experience it, take it. There are programs available all over the country, for various age groups (adults and teens) and interests (hiking, rock climbing, rafting, etc.). As for my experience, it was absolutely life changing. No matter your background, whether you live in Buckhead or Boulder, you will start a new life as soon as your paddle hits the water.